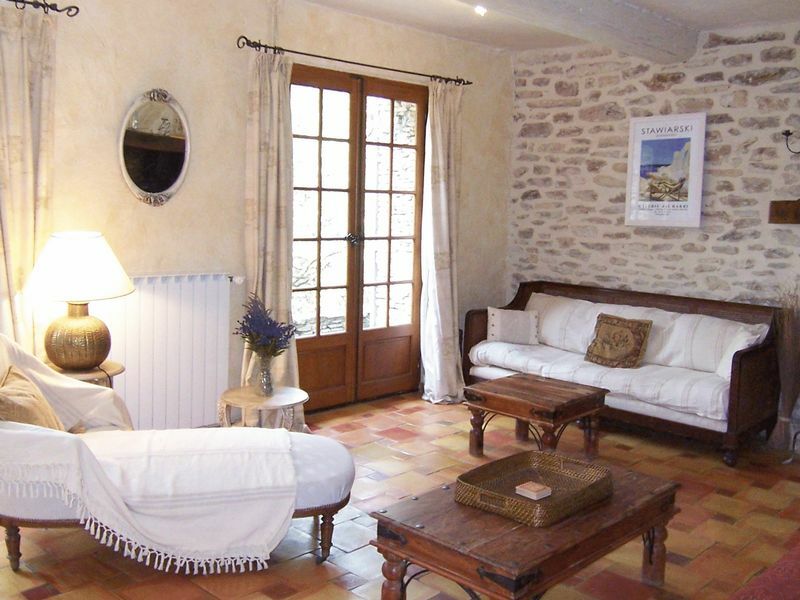 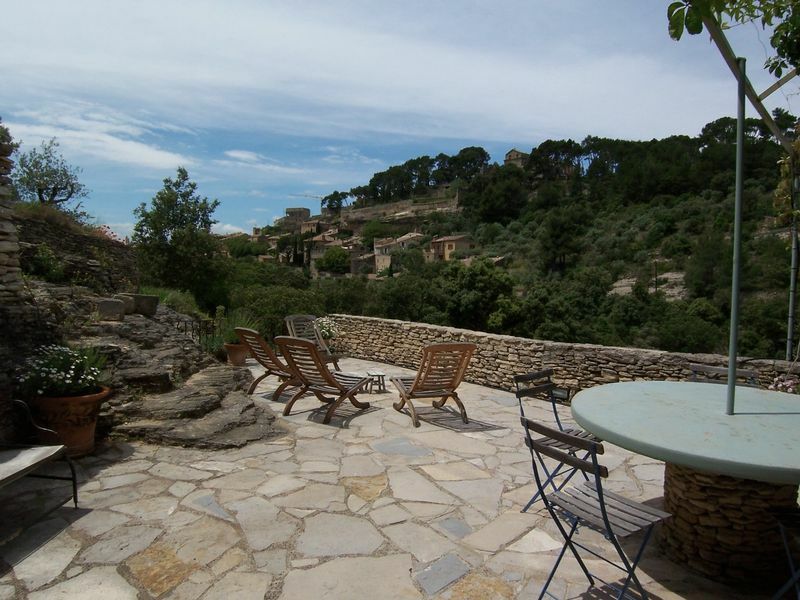 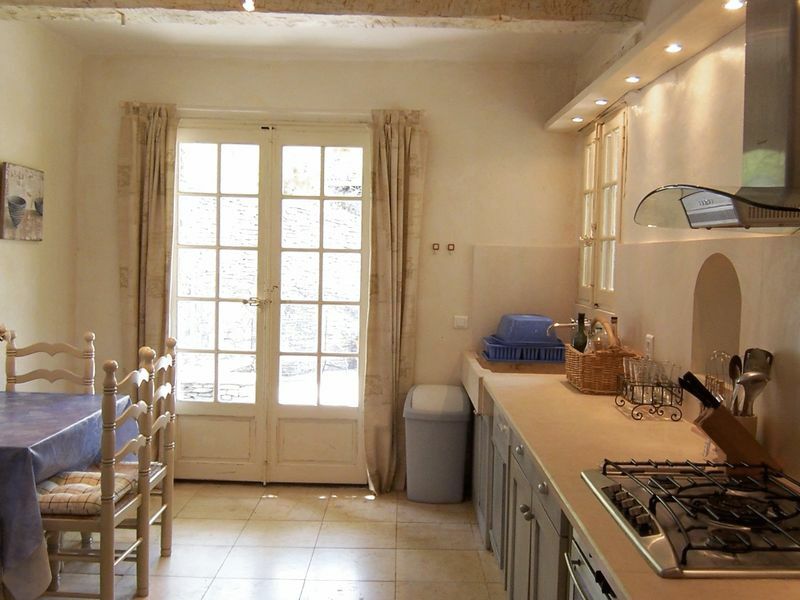 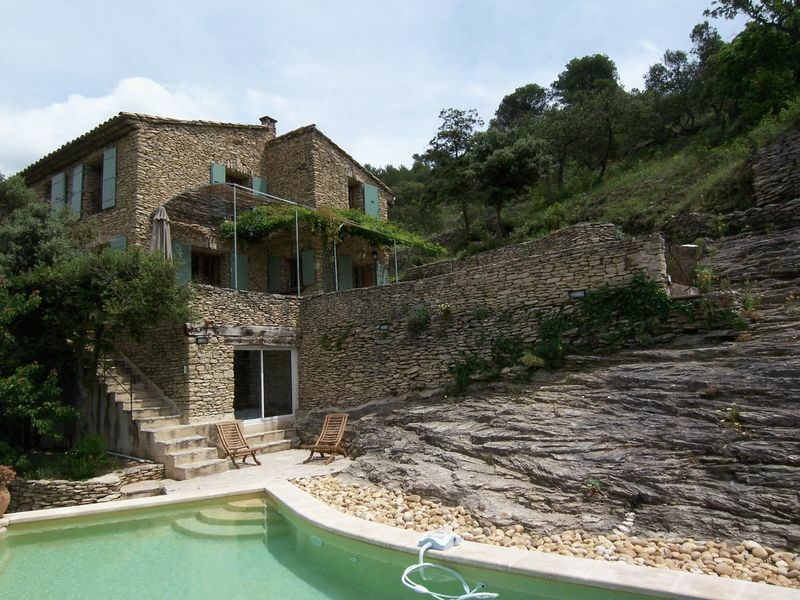 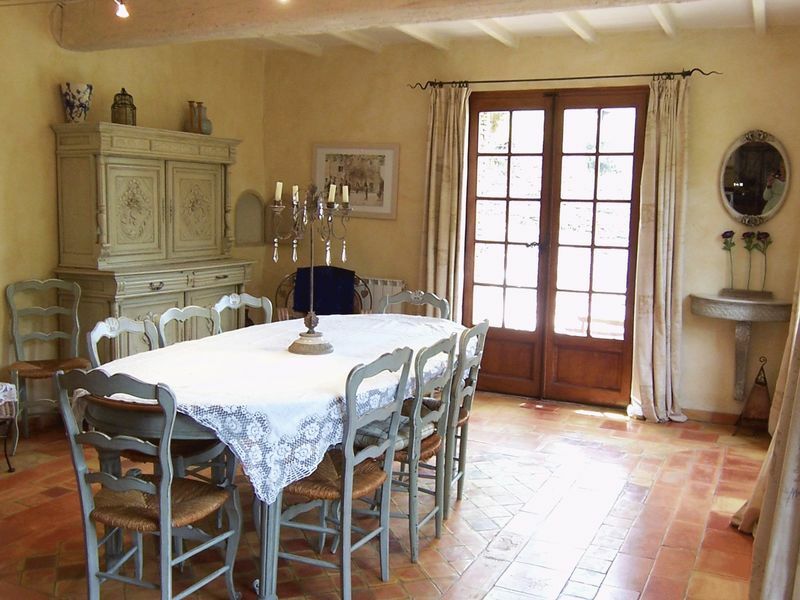 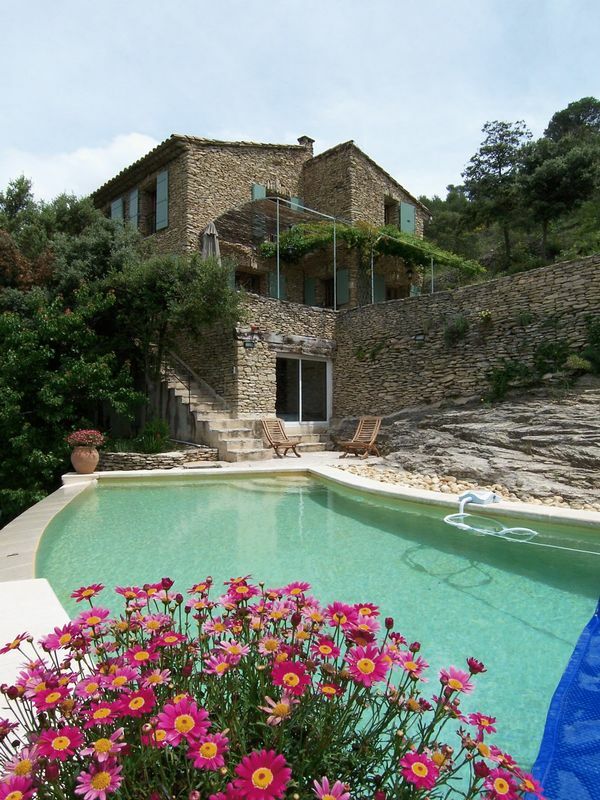 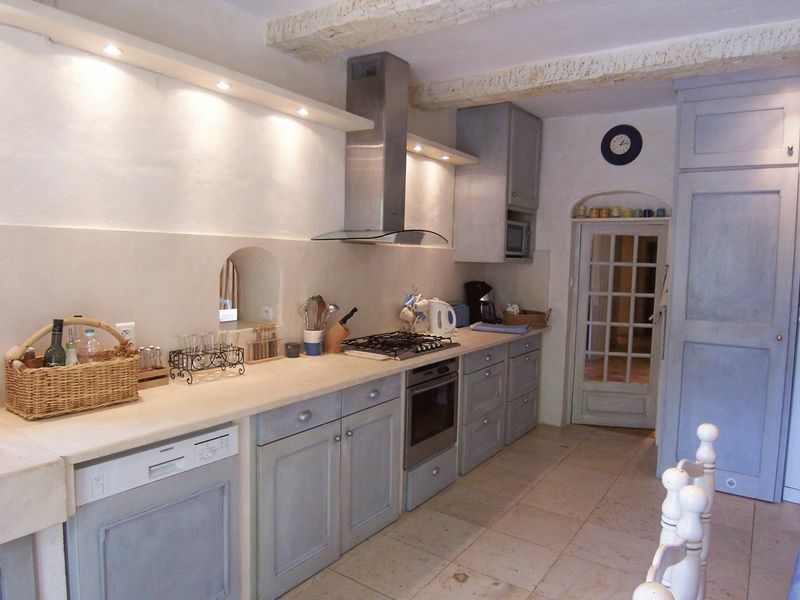 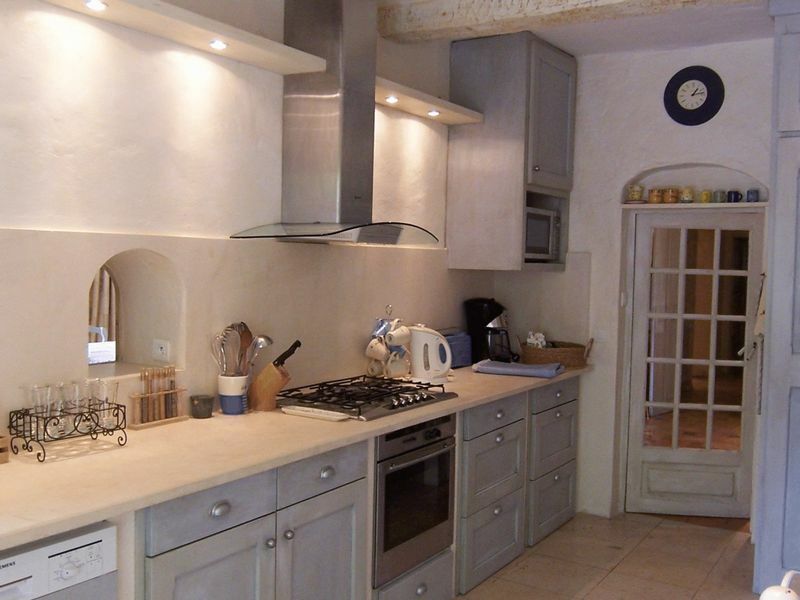 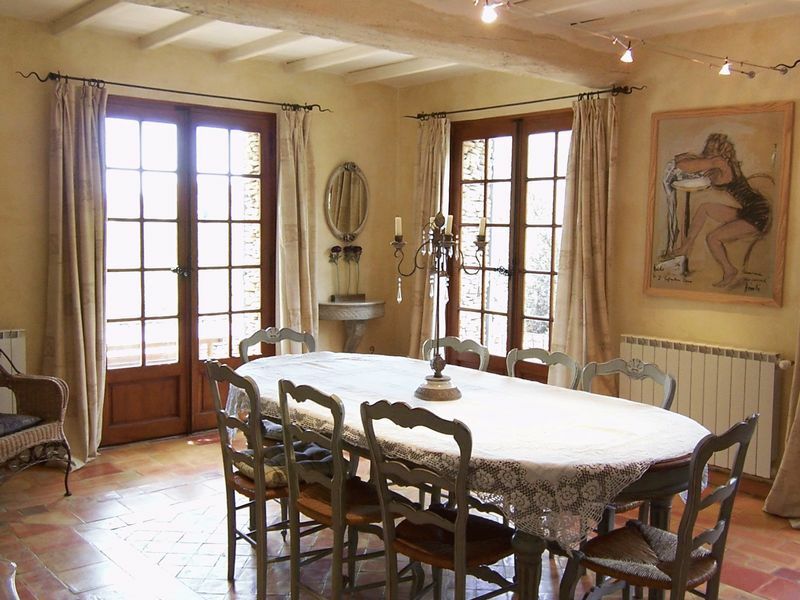 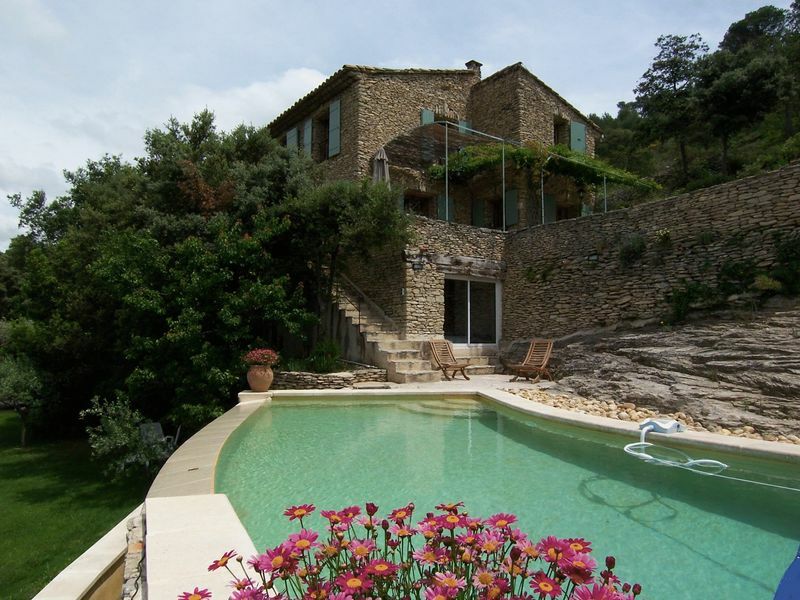 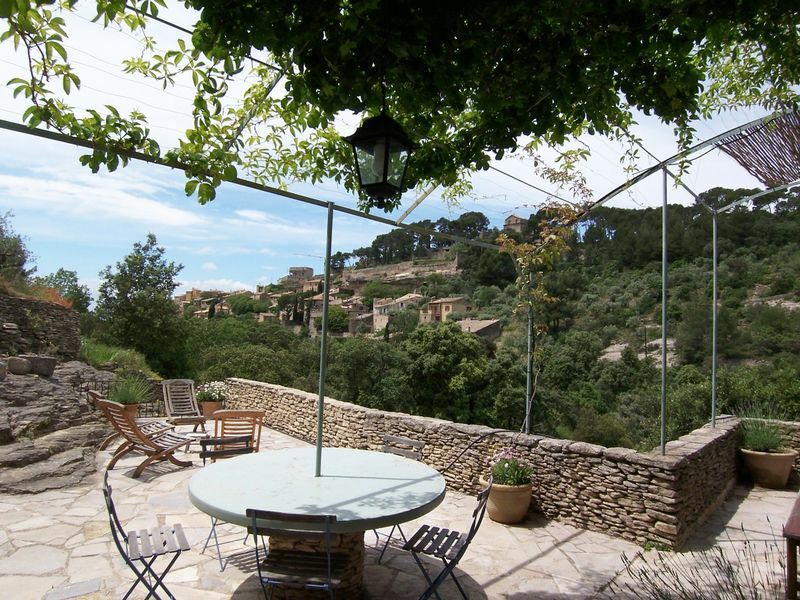 Situated on the outskirts of a very charming, Provençal hilltop village, this very lovely stone-built house has 6 bedrooms and 6 bathrooms, fantastic views over the village and valley, with dominant view overlooking the valley and the village, more than 3 acres and an infinity swimming pool. 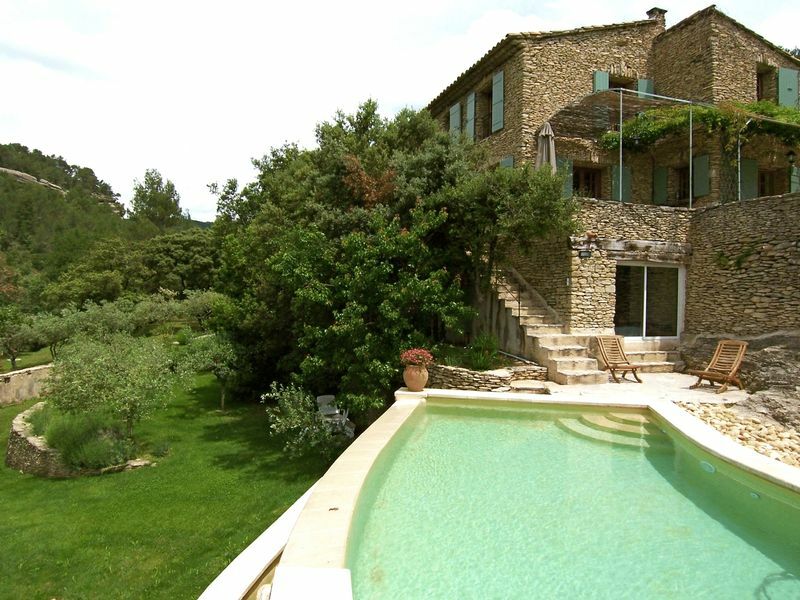 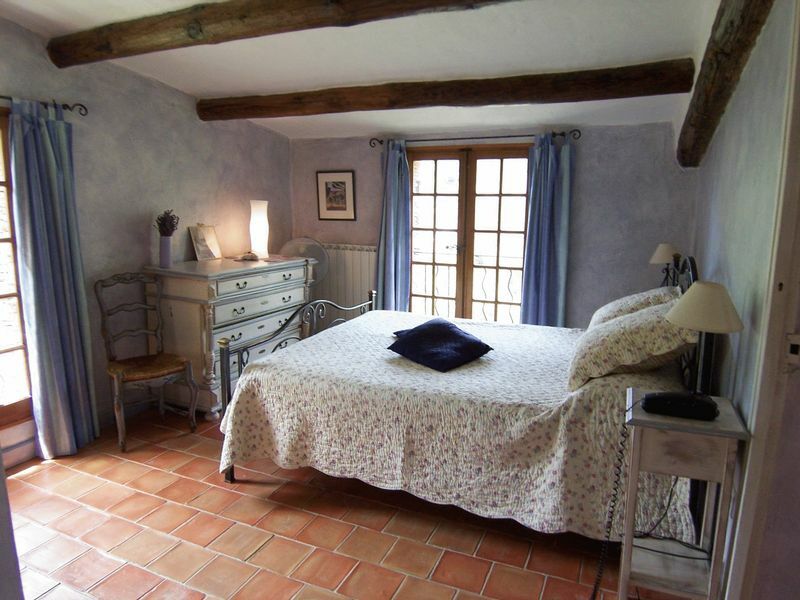 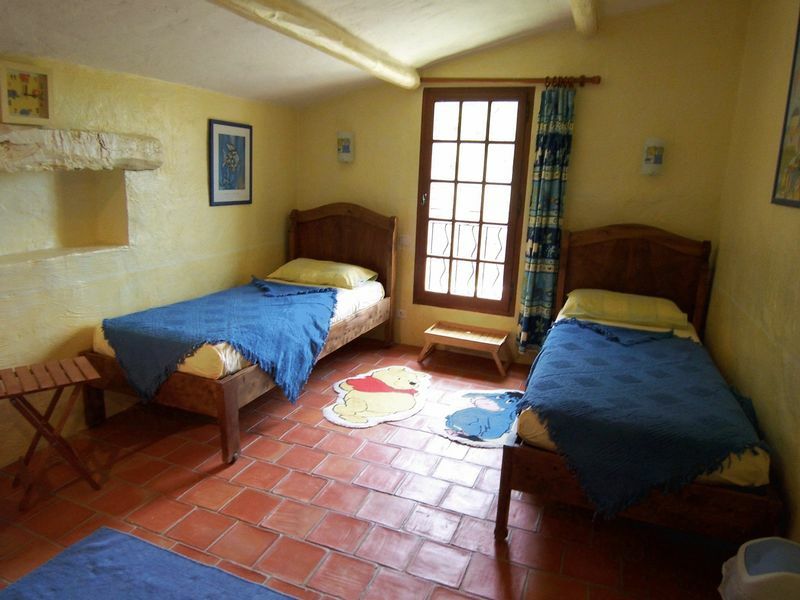 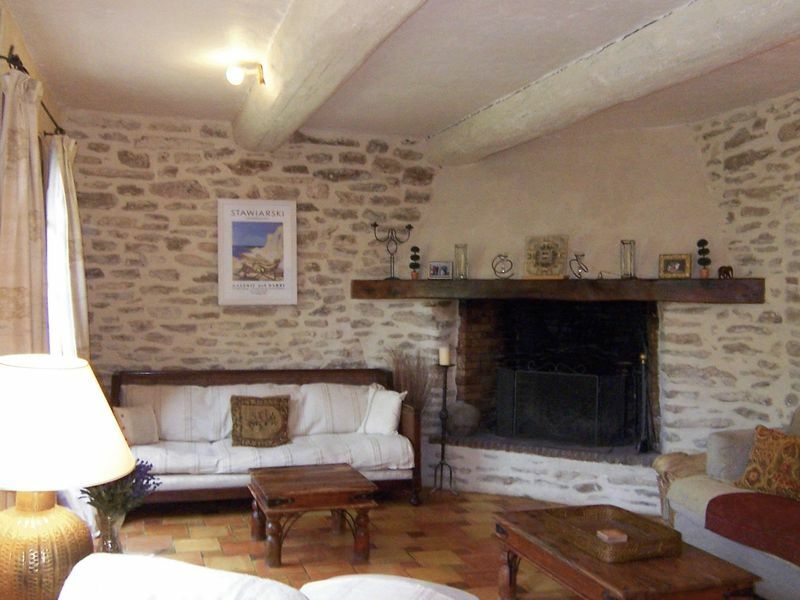 The house is at the edge of Saumane-de-Vaucluse, a small hill top village set in beautiful countryside, overlooking the valley of the River Sorgue. 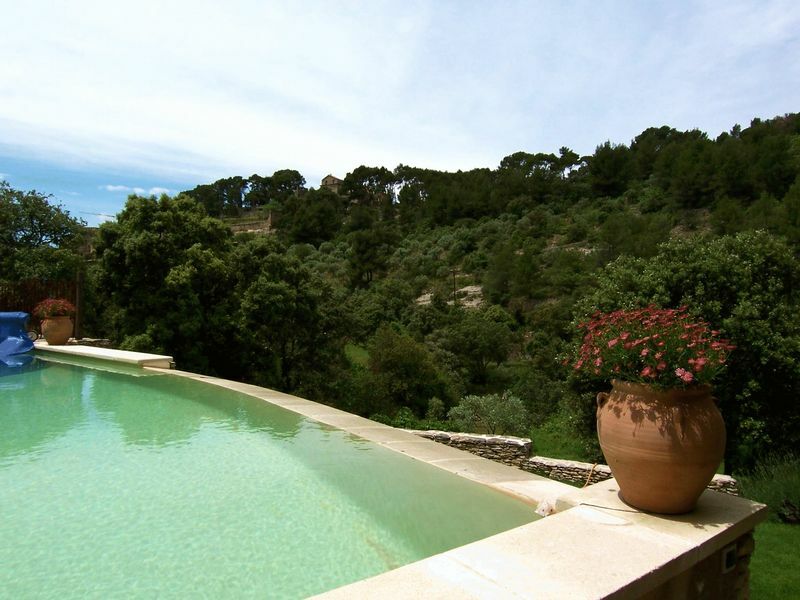 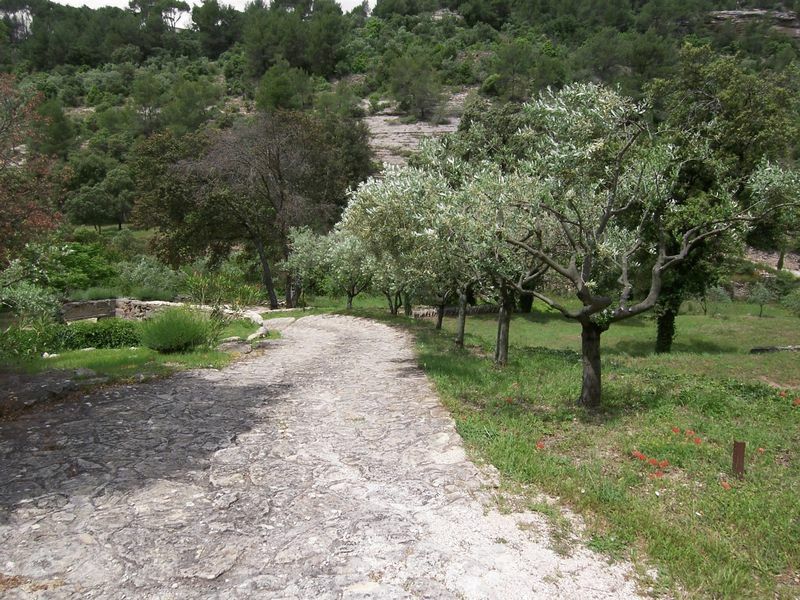 Lovers of calm will appreciate the views over the whole of the plain, with its pine and olive trees and Mediterranean aromas. 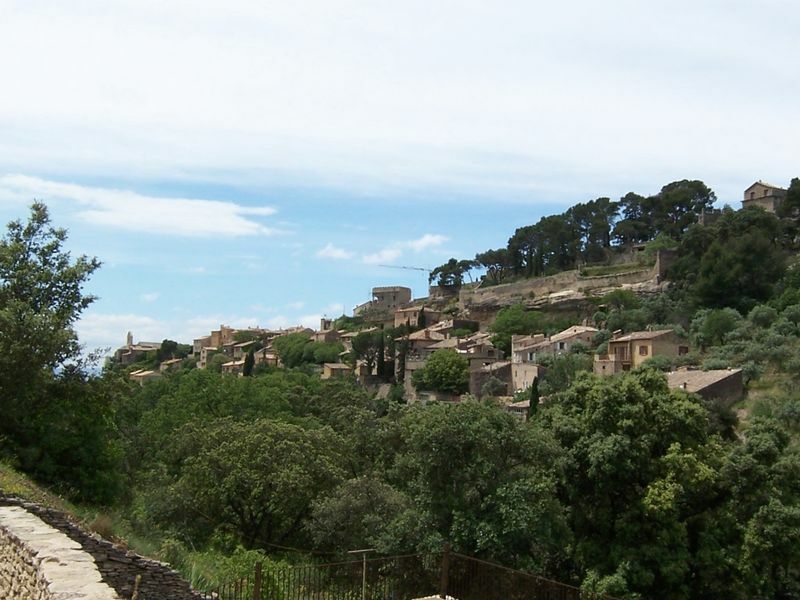 A walk through the charming narrow village streets will reveal a number of pretty fountains, beautiful stone-built houses as well as the remains of the old ramparts and the keep of the ancient fort of "Salmana". 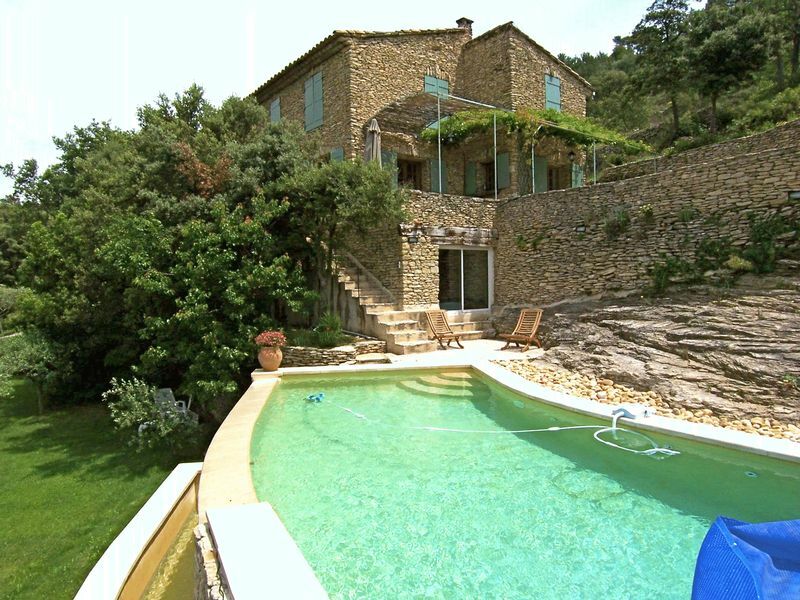 Garage, cellar built into in the rock, boiler room and pool-house including a Jacuzzi, a shower and WC. 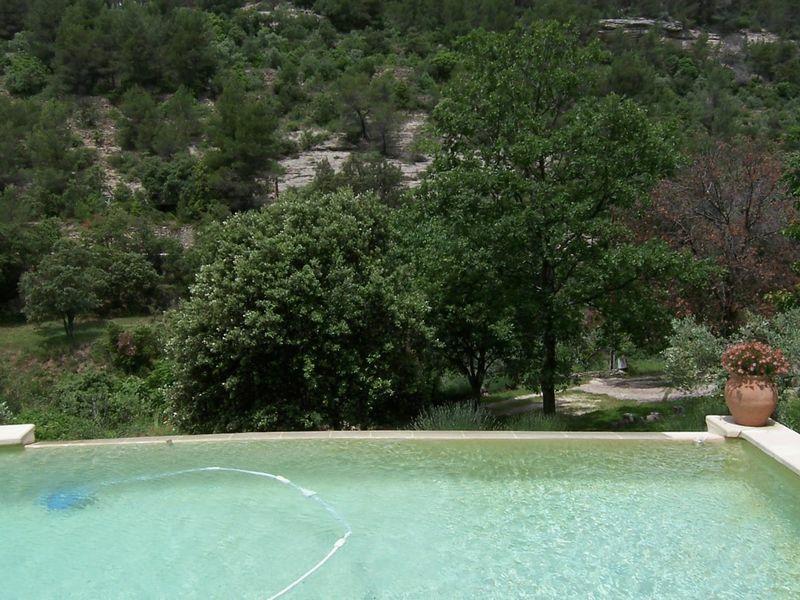 cypresses and oak trees, heated, infinity swimming pool (10m x 4m). 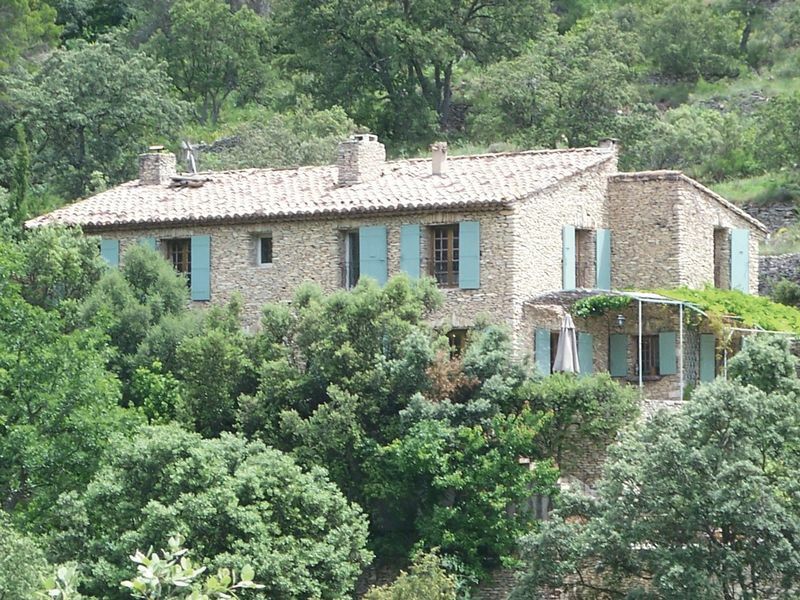 There are numerous shaded terraces around the house. 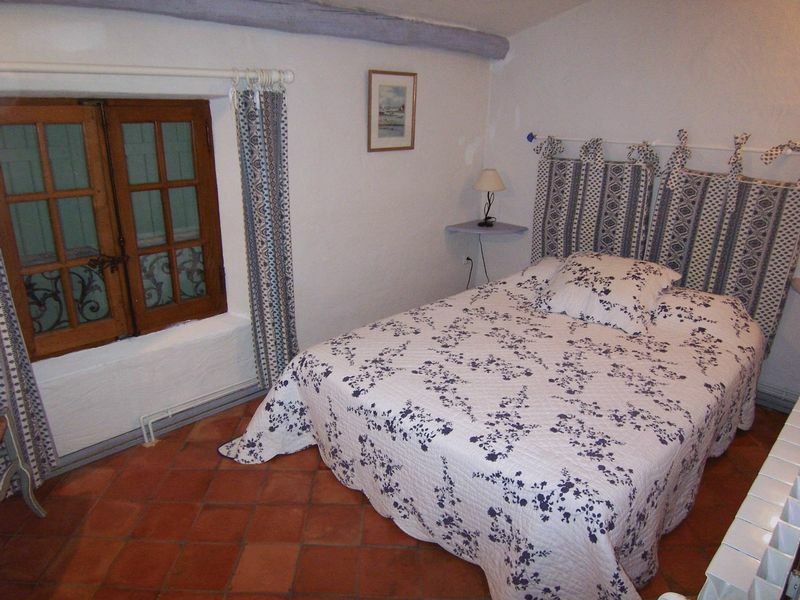 The house is connected to the mains water supply and mains electricity and has oil-fired central heating. 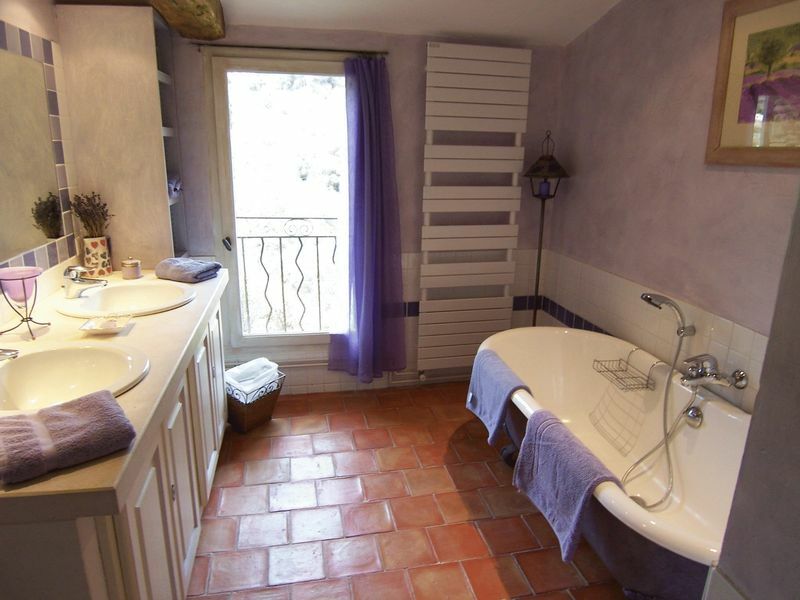 Drainage is to a septic tank. 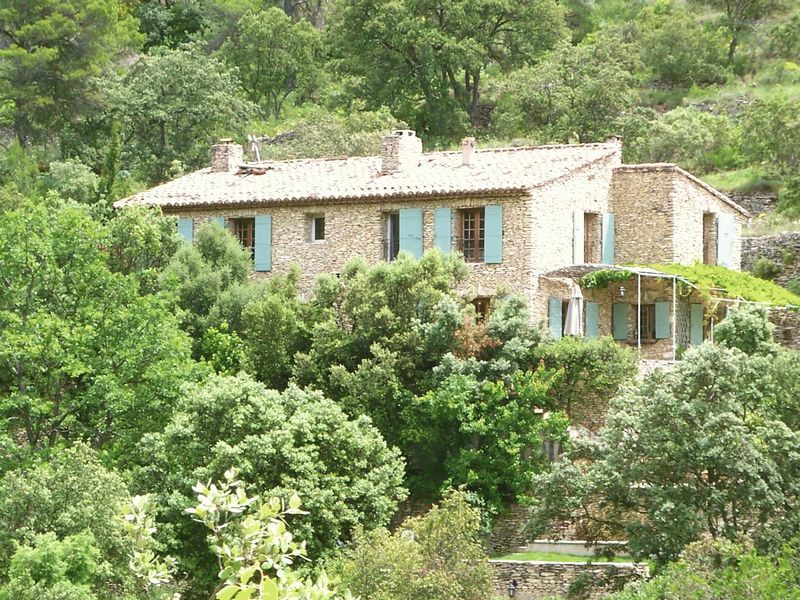 The house is quietly situated but not isolated.